While there are all types of madness in our world, I’m talking about the one I’ve been reading about recently—one that is near and dear to my heart and is, in fact, one of the reasons that I eat gluten free easily (gfe) and share the gfe approach with others. Remember that the gfe approach focuses on real food—meat, seafood, fruit, vegetables, and dairy–with some mainstream gluten-free processed foods and a few gluten-free specialty items. Specifically, many people believe that it is too expensive to eat gluten free. They believe they can’t eat gluten free without buying tons of gluten-free specialty foods, thereby, incurring huge costs for groceries. So today I want to talk about how to stop the madness of expensive gluten-free living. In the last several months, I’ve read messages, pleas, and articles everywhere about the need for charity efforts to support or subsidize folks who need to eat gluten free because of the high cost of gluten-free food. Some local support groups are establishing funds to subsidize gluten-free groceries. As shared in one article (no longer available online) about a support group and the program they established to help gluten-free individuals afford gluten-free products, one mother was struggling to feed her celiac child because of the cost of gluten-free food. That is so sad, and so unnecessary. Most of the people who are spearheading such efforts have their “hearts in the right places,” but the approach is not the best one. I think we are doing a huge disservice to folks when we lead them to believe that all their gluten-free food has to be the processed and expensive. Although this issue is getting more media time because of the economic times, it’s not new. I’ve had individuals tell me for years that they could not afford to eat gluten free. Some wanted to feed their entire family gluten free, because it made life simpler and eliminated cross contamination concerns, but they stated they could not because of the expense. I recently read an article in Living Without magazine (now called Living Without’s Gluten Free & More) about a father who decided to go gluten free for a week to understand better what his son faced daily. He shared that when his son had been diagnosed with celiac disease, he and his wife had stated that the entire family would go gluten free. However, once they found out the associated expenses, they told their son he would have to be on his own in eating gluten free. The father journaled his food for the week, which consisted of gluten-free pizza, sandwiches, bagels … you get the drift. Ironically, the son was pleased when his dad’s gluten-free week was over because he no longer had to share his gluten-free specialty food. Last year, a mother of three wrote in to a well-known—and often very helpful—gluten-free newsletter stating that she was on a very low income (less than $1000 a month total). She pleaded for guidance on how to eat gluten free at reasonable prices. She, herself, used the term “madness” … asking if there were “any shortcuts to the madness” and “help out there for someone like me.” The editor’s response was that the gluten-free diet is “not an inexpensive diet” and that there is sometimes help through local programs, hospitals, support groups, etc. The rest of the advice was that the mother could focus on buying gluten-free specialty items like mixes and pasta at sale prices. The final sentence referred to a few mainstream items like corn tortillas, brown and white rice, pasta sauces, tuna, and mainstream gluten-free soups. In my opinion, the editor’s response was lacking. Many other readers felt the same way and wrote in with their own suggestions. To the editor’s credit, she printed some of these additional comments. However, many cited guidance that I find discouraging due to its time-consuming and impractical nature—such as itemization of all gluten-free foods for medical tax deductions or submission of those food costs to health care flexible spending accounts. My favorite response was one that asked why meat, fruit, vegetables, and milk products were not offered as more economical options. The reader went on to state that we really don’t need pasta and processed baked goods on a daily basis, and that gluten-free “replacements” should be occasional treats. She concluded that foods that are naturally gluten free were the best, most economical way to eat gluten free. She also echoed my own feelings when she stated that a tax write-off for food one didn’t need anyway was not only impractical, but just didn’t make sense. She explained that many of the U.S.’s health problems are caused by eating too much of the wrong stuff. Last, she added that most of the specialty items are actually snacks versus “must-have’s” for a well-balanced diet. The editor’s response was that it was important for one not to feel restricted and deprived on the gluten-free diet, and that having gluten-free treats can ensure compliance with the gluten-free diet. More comments followed in a subsequent newsletter. One agreed with the importance of not feeling deprived and the need for packaged gluten-free treats, but, encouragingly, several weighed in on the other side of the spectrum. These individuals stated they had refined their diet to focus on the basics: protein, veggies, fruit, and gluten-free grains. They also stated that they used a basic gluten-free flour mix (purchased or homemade from gluten-free components) to make their own baked goods. They stated emphatically that they never felt deprived of good food by eating this way. Some readers expressed dismay at the amount of time and money spent on locating and purchasing unhealthy substitute foods (baked goods and snack foods—in lieu of fruits, vegetables, nuts, and alternative grains), particularly to feed gluten-free children. One reader said that the best answer would have been to provide links to several gluten-free forums because the “give a man a fish…teach a man to fish” was the best approach and was actually a concept shared often in forum discussions. I was honored to speak last month about my gfe approach to another support group of which I am a member. Everyone was very receptive to the information. This approach is not one that’s often presented. (Many presentations are, in fact, about gluten-free specialty products—sharing what’s the latest and greatest on the market.) Many told me they were actually relieved to hear the gfe approach. Some of those were “newbies” who’d been ready to stock up with every processed gluten-free product known to man, but now felt confident they didn’t need to and were breathing easier—both because of the costs and the unchartered territory of all the products. Others had been gluten free a long time, but had fallen into a pattern of relying on gluten-free packaged foods almost entirely … even though they admitted they really couldn’t afford to eat that way. Some stated that they were inspired to cook again knowing that gluten-free cooking does not have to be hard at all—they could just focus on foods and meals they’d always enjoyed that were gluten free. They, too, stated relief at the cost savings they could achieve be cooking gfe. But, please let me be clear on one point. I know that the majority of vendors and makers of gluten-free specialty products went into the business out of love and concern. (Update: This statement was true when I wrote this article. With the entrance of many major companies into the gluten-free marketplace, I’m not sure it’s true today.) Their motivation was trying to feed a loved one safely and ensure that loved one, and others, would be able to enjoy treats equivalent to those they enjoyed before. Without a doubt, these companies fulfill a need and many are greatly appreciated, but to eat gluten free economically (and healthily), these treats and processed foods should be just part of the gluten-free diet—a small part. Stop the madness! Real food is calling and it’s not nearly as costly as a diet based primarily on gluten-free specialty foods. It’s mostly available around the perimeter of your grocery store, it’s at the farmer’s market, it’s in the offerings from your own garden (or your neighbor’s or relative’s), it’s on the fruit/nut tree you planted years ago, the grape arbor out back, and so on. Use these food resources and supplement them with some mainstream processed foods that are gluten free and a few gluten-free specialty items. Prepare, cook, and bake simple meals as shown here at gfe. (Note: Click on How to Go Gluten Free under the heading for several printable “tip sheets,” including 50+ GF Foods You Can Eat Today (in PDF) and 50+ Meals That Are GFE (in PDF).) That is how to stop the madness of expensive gluten-free living. Please get off the gluten-free specialty food merry-go-round and spread the word to others. We want to ensure that folks who need to eat gluten free can easily eat gluten free—without costs holding them back. Finally, I’d love to hear your stories along these lines, your own words of encouragement for folks transitioning to the gluten-free diet, and your questions on how to go gfe. Hi, mb–Welcome to gfe! Thanks so much for the positive feedback. 🙂 Spread the word on the gfe approach! BTW, I appreciate your blog as well. Showing that one can travel weekly and stay gluten free is HUGE! I’ll try to visit your site more often. I’m running out the door right now, but when I have a few minutes, I’ll come back and expand on this. You’ve brought up such an important issue in the lives of people who can’t eat gluten. It does not have to be so hard or expensive. Back later. Good, good job, Shirley! For one, it is easy to eat gluten free. I am NOT the Celiac in the family, however over the past 12 years living with one, I saw that eliminating things you can’t eat is actually a fairly easy and normal procedure. For two, in defense of mankind as a creature of habit, I do see the challenges very much. Bread, which is even anchored into your daily prayer, having to go from “Yumm Yumm” (Panera) to Ho Humm (anything pre packaged)is brutal for most. Esp for those diagnosed in the middle of life. Just imagine if we were have to adapt the british driving thing tomorrow. On the left side….we would all be confused. However, yes, there are lots and lots of ways to make it economic. I stated this here and in other blogs before, stop over thinking your recipes. Stick with things that already with Gluten only have a few ingredients, then sub out those you can’t have. And on and on and on. Anyway, Victoria’s point with her bakery is that: Every Celiac deserves a treat that tastes like the normal cake, the normal Panini, an excellent tasting bread without having to go through baking, hassles of finding top notch ingredients and all the work in figuring it all out how to mix it together. Judging by GF Patisserie’s (very young) growth curve, Celiacs do appreciate the effort put forward to make a place JUST FOR THEM. No worries about getting sick, just plain, guilty pleasures. In every market segment, not just the gluten free market, will you have people complaining about costs of doing things. H.Peter–As always I appreciate your frank, but positive feedback. Oh, I’m totally with you on the initial confusion part. Steve (Gluten Free Steve) shared on his blog that the nutritionist he met with after diagnosis told him that learning to eat gluten free was like learning a whole new language. I agree, but it’s surprising how quickly you learn to speak this language. Pretty soon you are taking it for granted. Much like, we’d all learn to drive on the other side of the road if we were doing it 24/7, day in and day out. But, as long as we focus on gluten-free packaged foods and substitute them for our previous food choices, we’re not really learning. It’s sort of like we’ve hired a translator. It works, but not as well as if we’d actually learned to speak the language ourselves. And, the packaged gf food is often “HO Humm” as you say. Now as far as your family’s bakery, I think it’s wonderful and when I get to Calgary again, I’ll definitely stop by and I know I’ll enjoy the experience immensely. But, I won’t go there every day and I wouldn’t if I lived there–please no offense meant. It’s just that I don’t think bread, etc. should be a daily thing, even if it is gluten free and absolutely delicious. And, so many of us who do give up bread on a daily basis don’t miss it at all, and feel better for it. It’s true. Many gf folks will tell you this. I still enjoy popovers, cornbread, etc. but don’t want them daily. Many people who do eat such foods daily after diagnosis don’t heal well. As a result, some end up following more restrictive diets than what I am speaking of … diets like the Specific Carbohydrate Diet (a diet that can be very restrictive, but excellent for healing not just celiac, but Crohn’s, etc.). Anyway, I don’t want to create another post here. I certainly appreciate your comments, especially the comments about making easy recipe conversions to gluten free. That and cooking w/eating whole foods that are naturally gf are all a person really needs to do, particularly someone who has financial constraints (which I daresay is most of us). Shirley you are so right. I can’t inmagine their advice was to buy sll the specialty food…instead of cooking from scratch or other foods without gluten. What an informative post and I hope the information gets to folks who need it. noble pig–Cathy, thanks very much for your comments. There’s really so much involved in the perpetuation of the gf specialty food. There’s the fact that less and less people actually cook from scratch, so in many cases using the specialty food is swapping the glutenous stuff for the gluten-free stuff. Then there’s the perception that only the specialty food is really gluten free. There’s even a company that will provide every single meal and snack gluten free … from omelets to chicken noodle soup and grilled cheese to jello, etc. As you can imagine, this is not an inexpensive option and the irony is that most of the foods this company sells are naturally gluten free or are mainstream meals that one can easily make gluten free. But, some people who are newly diagnosed are so afraid that they won’t/can’t eat safely that they sign up immediately despite the costs. The gfe approach takes a change in mindset because doctors and the media are constantly saying how difficult eating gluten-free is. Then when it’s suggested that folks leave out the gf specialty foods, everyone cries deprivation. But in this case, “less is more” … there’s a huge world of naturally or easily converted gluten-free food that tastes better, is healthier, is less expensive, and so on and so on. Thanks again … I really appreciate you keeping up with gfe! Feeding three Celiac kids and myself on a tight budget is a challenge, and buying pre-made GF foods is a convenience I sometimes long for! I have finally gotten into a routine of buying a loaf of GF bread, a package of GF rolls, frozen GF waffles, and a package of GF wraps per week, and that seems to be do-able. Yes, I can make the bread, rolls, and waffles at home, but these few items just help simplify the week a bit. They cost me about $20 a week. Other than this, I buy GF flours in bulk and have a bin of GF flour mix in my pantry at all times. I make all of our muffins and desserts from this – and when I have the time, our bread, pancakes, and pizza crusts, too. I have actually been thankful for the restrictions on our diet, because we eat healthier meals. I think the main reason our grocery bill has gone up is because we buy “real” food now like you mentioned – fresh fruit and vegetables, meats, eggs, milk, cheeses,nuts. These foods cost more money than processed/pre-made foods. Unfortunately, gov’t subsidies make for the cheapest foods in the grocery store being the unhealthiest! I also don’t believe we should look to the government to solve all of our problems! We can do this! It takes some adjustments in time, budget, and perspective, but I view it as a labor of love for my family! My husband does not need to gain weight, and I prefer veggies and food found in the perimeter of the store. I don’t find many gf foods aren’t tasty and I like to try new recipes. Sometime let me write about the mine fields in hospitals-just spent a week hungry and frustrated at a very large hospital. They served me a plain bowl of lettuce when they had gf dressings available. They refused codiments altogether and family had to sneak them in. The dietary staff were terrified and kept sending sugar laden jello, and I needed protein. The head dietitian has Celiac, but was incapable of changing the mindset. Once I was served cake and a roll, fortunately sealed. I had to walk away after reading the first half of your post. This topic makes me get so fired up. People are so misinformed and so tied to eating processed foods. They go right to the GF processed foods without a second thought and then complain. Of course I can say all this now that I’ve gotten religion. I was exactly the same way. I bought every gf product I could get my hands on. If they were not local I ordered them online. Of course all I did was continue to feel horrible and develop an intolerance to rice (it’s in most processed gf foods). That made me rethink how I ate so I guess I’m lucky it happened. Now that I rarely eat a processed product & I feel amazing. My health has improved 200%. I save lots of money and I don’t have as much trash anymore. I’d like to continue to help get this message out. I have no problem offending people by pointing out the obvious. You’re much nicer. I’ve challenged my readers to get out of the box and to eat whole foods they have on hand and stop continuing to buy food they already have. OK, now I have to go take a walk to relax. You found the topic that pushes my button. I know there are many other bloggers with this point of view. Let’s unite! Diane–I hear you, dear! Most of us go through the stage where we are buying the gf specialty products. I was actually fortunate that my rural area did not have a store with these products. I did buy some at stores from time to time, but they never did much for me. My doctor had actually given me the advice to eat food that is naturally gluten free. I realize now that was uncommon advice coming from a doctor. Most are preaching how hard the diet is and pointing patients to the gf specialty foods. We do all have to come to this awakening on our own, but getting the word out definitely helps. The main point we need to make is eating the gfe way is NOT deprivation. It’s economical, cheap, and healthy. I just hate the thought of someone being late on a house payment to load a grocery cart full of gf specialty food or vice versa eating or feeding their child gluten because they have to make a house payment and can’t afford both. Sure, let’s all unite, but remember “you catch more flies with honey than you do with vinegar” (this coming from a member of family of beekeepers LOL). 😉 Realize that if you’d been approached with the gfe approach right after going gf, you might not have been ready for it. Let’s put ourselves in the shoes of the newly diagnosed and consider what guidance they’ve been given, what their past cooking experience has been, etc. Thanks so much for replying with such candor and passion! Great piece Shirley. Well written, presented, and so logical. Often the solution to our problems is right in front of us. Hey, V–Thank you for such very, very kind words! How true that we miss the obvious. Admittedly, the gf diet is overwhelming at first though. The folks who are eating mostly real food and not a lot of processed foods and gluten at the time of diagnosis are often few and far between. Most of those folks can easily make the transition to the gfe appoach, but some actually cast aside the apples, bananas, and carrots for gf specialty products like pretzels and cookies. It’s true. But, so much is due to the initial feeling of loss and uncertainty and the marketing of gf products, that here’s a product you can eat safely, made just for you, that replaces the bad gluten stuff. I get their positions … I’m just trying to move them out of those positions a little more quickly. Thanks also for posting the comment about using the ShareThis button! Many folks may be like me and not have used social media in this way before, so the reminder is appreciated! Yes, we want to get this word out. The person reading it might not be ready to make the immediate change to gfe, but he/she might take the first step. And, if folks are in a critical financial situation, the gfe approach just might be a lifesaver. Thank you so much!!! I am currently the only one in my family that requires a GF diet. When i first was told about it… i looked at those processed pizzas, those bakery breads and about died. How do i eat bread if a loaf that cost 6 bucks is half the size of a normal non-GF loaf? My family cannot afford it. The thing that has helped most is i cook dinner every night. Being able to cook from scratch makes it way cheaper on us, and my whole family can enjoy the meal, no one is left out or segregated. It doesn’t hurt my children to have a meal or two that i make from scratch, because its full of healthy veggies, protein and such. Thanks so much! i’ll be watching for your sidebar! Hi, Angela–Thanks for stopping by gfe! Thanks also for your feedback and sharing your own experience. 🙂 You are doing a great thing! It doesn’t hurt your children at all to have that wonderful meal you made … instead, it helps them tremendously!! And, of course, there’s the whole issue of the immeasurable value of a family sitting down and sharing a meal together, too. And, what better way to spend our time fixing a good meal and eating it together than each perhaps eating an individual processed food meal. The segregation you mention makes me a bit nuts, because it’s really so easy to fix a meal that the whole family can enjoy without being a short order cook. Another important thing is that you are showing your children how to feed you safely. A few years down the road, they’ll be fixing you a meal they prepared and they’ll know how to do it gf. 🙂 Even before my son committed to eating gf, he would look out for me in restaurants being sure to let the wait staff know how to feed me safely. That experience came in very handy for himself when he went gf, too. Help this article reach a larger audience by using the Share button at the top of the comments section. It allows you to post it directly to your Facebook or Twitter accounts or to Stumble it, bookmark it, or Buzz It Up. It’s easy! Try it! Thank you. Great article. We have several food allergies along with being gluten free. Convenience foods are rarely if ever an option not just budget wise but do to all of our food restrictions. I’m thankful though, it’s totally changes around our eating habits to more wholesome, naturally good for you foods. With our high fructose corn syrups and refined sugars laden in our diet we all feel much, much better and even if we can eat those convenience foods again someday we won’t be going back! You’re welcome. I appreciate your visit and your words! It really is eye opening when we start looking at what is in our foods. You raise a good point about multiple food allergies. This occurrence is not uncommon for folks with gluten issues. In some cases, healing after being gluten free can resolve the allergies … in some cases not. In any regard, I consider it a gift to be able to know what’s in my food and make better choices. I can’t say I’m perfect (and I don’t ever plan to be), but like you said the difference in how I feel from eating gluten free and avoiding so many other things my body doesn’t like has such a huge impact. So many illnesses and symptoms are caused by food intolerances. When we start paying attention to our bodies and what’s good for them, it’s quite amazing. Thanks much for this. Great blog post! If you have some time, I’d like to talk with you about a new internet company I’m about to launch that is built for the gluten-free community. There is nothing like it available and I need some input. Are you up for a conversation? Hi, Mike-Welcome to gfe. 🙂 I truly appreciate your very generous words. I am all about helping the gf community, so shoot me an email (link is on sidebar) and I’ll see if I can help. Excellent article. Well written and thoughtful. I really appreciated your perspective and summary of the debate. I agree that one of the first steps for newly diagnosed folks should be going to their grocery store and experimenting with whole, unprocessed foods. Show me a fresh vegetable with gluten- I dare you! Similarly, plain protein and basic starchy foods (corn tortillas, potatoes, rice) should be used as the cornerstone of an economical gluten-free diet. If not lactose intolerant, dairy products also rarely contain gluten. International markets and farmer’s markets are excellent places to get these items at a reduced price- many of the mainstream grocery stores seem to think of produce as “specialty items” and have unnaturally high prices. Trader Joe’s, Costco, or Sam’s Club are other stores may have lower prices on whole foods. Trader Joe’s has the added advantage of offering some inexpensive gluten-free specialty items like pasta and mac n’ cheese at a good price. The only thing that I personally find a little sad is when some gluten-free folks just resign themselves to living without some basic, popular foods that they enjoyed prior to diagnosis. I especially find it sad to read about folks that make do with “sandwiches” on rice cakes and just live without pizza and other items. I understand many products are overpriced, but it is important that people know they don’t have to deprive themselves of real sandwiches, pizza and other staples. (Encouraging compliance to the diet is one very important reason to make sure everyone knows about alternatives to old gluten favorites.) Making things from scratch can be tolerably cost effective and baking gurus like Bette Hagman, Carol Fenster, Rebecca Reilly, and Annalise Roberts can help people get good, quality results that beat the processed stuff 100 times over. I grew up gluten-free and frankly, ate extremely boring and flavorless food due to limited product (and ingredient) availability as well as my family’s limited financial situation, as well as time constraints. I envy gluten-free kids now that have such variety and don’t have to suffer through the BAD products that were the only option available to us. However, I don’t think the typical American processed diet is good for anyone and do think these products should only be an occasional treat and NOT a lifestyle, if that makes sense. Homemade is almost always better, better for you, and usually less expensive! I’m a big fan of learning about naturally gluten-free international foods, as they add flavor, variety and nutrition to the diet.South American/Mexican, Indian and Thai foods can often be made very easily in the home with minimal changes (if any) to be gluten-free… and, ingredients can be very cheap, especially if bought fresh or at international markets. Just watch cross contamination (for example, I don’t buy Indian flours as they would be milled and packaged with gluten flours). I hope this helps someone. As far as government help goes- food stamps can be used to buy fresh produce and meats etc, but food bank offerings are usually very processed and unhealthy as well as being gluten (and calorie) heavy. I also do not find the tax deduction (tied to health plans) to be useful. I wish things were different and there were better support networks for people, especially in this economy. However, although it may be difficult at first, I believe going gluten-free (if one needs to medically) can lead to a healthier lifestyle and teach new and ultimately beneficial ways of eating and cooking. Creative shopping can be essential, especially for those in an urban area. For those not living near international markets, shopping online in bulk through Amazon.com etc. is also an option. This is useful for discounted prices on basic GF baking mixes (like Pamelas) or GF flours or pastas that would be very expensive in a health food store but much cheaper in bulk online. These items are not necessary, but they do make life easier and make the gluten-free diet tastier and make it easier to transition from a gluten to a gluten-free diet. Ultimately, the important thing is one’s health. I would wish that everyone who needed the gluten-free diet or to have a gluten-free household could get the support that they need to make a transition for their household, irregardless of income. I highly recommend support groups, both locally and online. The Yahoo groups SillyYaks is full of very helpful, kind individuals that have responded to queries about making an inexpensive transition to GF life in the past, and would be sure to do so for any asking in the future. Gluten-free bloggers can also be good resources, both through articles and (time permitting) personal contact. If you are struggling with the transition to a gluten-free life, please just ask those already engaged with the lifestyle- I bet you will get more help and suggestions than you ever imagined! Hi Sea–Thank you so much for your nice feedback! I really appreciate all the time and thought that went into your comment—wow! I loved your comment about show you a vegetable with gluten. LOL Your cornerstones of an economical gf diet are ones you’ll see often here on gfe. They are definitely the basis of the meals we make often. And, while I’ve been limiting dairy more lately, it can serve many just fine. I shop at a regular grocery store and while I complain about it because of the lack of variety and the fact that it’s on the low end of the spectrum, economically, it serves me well. I would love a Trader Joe’s, not necessarily for the specialty items, but just for their variety and quality of basic foods. I’ve found their prices quite good in general. The closest TJ is 70 miles away, so I haven’t been often. Costco and Sam’s Club have been reported on other blogs as great options. I tend to get a bit overwhelmed in those stores and even before going gf, I didn’t think I was getting great deals because I ended up buying more and eating more. However, I know other gf bloggers/readers who have reported great finds. I totally agree that it is sad if folks are eating bland tasteless foods in the interest of economy and safety. There is nothing tasteless about the foods we eat or the ones shared by our support group, which you can read more about on the Support Group (KGCGIG) tab. I have to disagree a bit on the creative shopping. I don’t think the shopping has to be creative. I think one can make fine, delicious meals using basic ingredients. It’s the use of good oil, herbs, seasonings, balsamic vinegar, fresh ingredients, and the like that can produce stellar gf meals. It’s the simplest meals in the finest restaurants that people rave over. Likewise, it’s the basic combinations of fresh ingredients that folks on travel often come back going on and on about, e.g., chunks of vine-ripened tomatoes covered with some fresh mozzarella and drizzled with olive oil while in Italy for example. Personally, I don’t really espouse buying several gf flour mixes either. My basic gf flour mix tastes and works better than Pamela’s or most others. Its basis is Asian white rice flour, mixed with cornstarch. I cite the recipe often here at gfe. (I have not found the other international flours to be safe necessarily as you pointed out–thanks.) And, really, many desserts I make call for no flour at all–I highly recommend those to folks for ease of making and great, natural taste. Pasta is not a common ingredient here. We use it, but not that much. If one is really cutting costs, I say skip it all together. It’s like bread, once you stop using it, you don’t miss it. Pizza can be made so easily, it’s incredible. As people said here, you can make your own traditional dough or you can do alternative crusts like polenta (easy and makes a great crust) or my flourless pizza–originally, a low-carb recipe from a friend … the crust is made of egg, cream cheese, and mozzarella; and then topped like a regular pizza–it’s awesome. Amazon is a good source for people who want to buy several gf products in bulk. Another option is vitacost.com which is carrying more and more gf products and has a flat rate for shipping and they ship very quickly, too. But, again, I think so many options like this can make things more complicated than easier. I hope that my tip sheets that will be posted soon will show how eating gfe can be an ideal solution for cost, simplicity, etc. Finally, yes, support groups can be fabulous! The comradery and the tips on daily gf living can be invaluable. Our local support group is fabulous. I learn something each time we have a meeting and our other members say the same thing. Everyone has something to offer. The other support group that I belong to is also wonderful. Completely different formats, but each offers so much to its members. And, you are so right about the rest of the gf community … bloggers, Yahoo groups, the celiac listserv, etc.—so many people who are so eager to help. We’ve all been there and want to ensure that others don’t have to go through the same learning curves. We want all our fellow gf folks to eat safely, enjoyably, and in a way that works well for their income. Thanks again, Sea. I sincerely appreciate your extensive comments and suggestions. I’m sure the gfe readers will, too. We each have to figure out what works best for us and no one person can provide a single answer that works for all. Aww, Shirley. This is a great post. I am sending it out to my family. As someone who eats gf(& more)e, I totally sympathize with your frustrations. I love when people ask me how I know what is gluten free and what isn’t. It’s simple. Eat food that already is naturally gf to begin with!! I admit I eat my specialty foods, such as gf oats (by the way, do you eat gf oats? If so, what brand do you like?) and fruit/nut bars, but that is all. Otherwise, there is too much worry about cross contamination for me. I love when people suggest to me different specialty brands such as baked donuts and cookies just because it is labeled GF. I know they are trying to help, but if they only understood! Hey, there, CoconutGal–I think WordPress is getting tired of my wordy replies … it just ate my response to you!! Let’s try again … First, thanks so much, my dear. You might be surprised at the impact of your repeated statements on eating food that is naturally gf. My friends and family are getting it and now most can feed me safely and even pick up foods for events, etc. that work. And, the neat thing is they are absorbing some of this info for themselves. 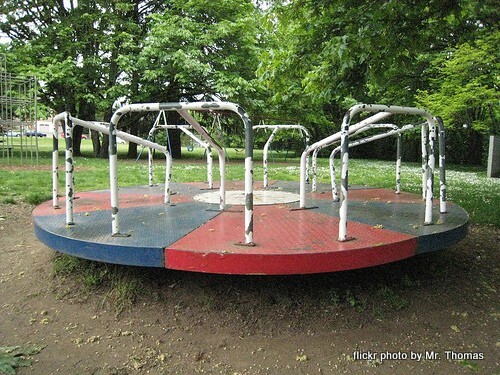 Many of them have numerous health issues that could be related to gluten, but right now are on that other merry-go-round (but still in the same park) … the diagnosis of a million things beside gluten. Sigh. But, everyone must come to that realization/diagnosis via their own path, too. Worse than folks suggesting those specialty foods are folks actually buying them for you! For example, when you are going to be a guest at a friends house then you have to decline the goodies they paid high dollar for. There are some gf specialty products I’m not going to eat, even to be nice. Many, in fact. They make me feel almost as badly as gluten does. I just don’t do well with all the starches, gums, and preservatives. When I’m baking myself I know exactly what’s going in my goodies. Anyway, I hope this post helps reach friends and family! Oy. That was some reading…. Remember that Subway commercial with Jon Lovitz? Jon Lovitz … he was great as the voice of the radio in The Brave Little Toaster movie! Prices of food is a touchy issue as it is more expensive to eat well (especially if you consider organic to be a factor and wish to eat more vegetables than grains and you buy stuff at a grocery store and don’t grow it all). However, one can easily spend more money on processed foods than simple healthy foods. It certainly takes time and effort to grow and preserve all kinds of foods, which may not be practical for a person working two jobs. But nothing in terms of getting food is more economical than tearing up that nasty sod! Hi, Matt–Thanks for weighing in! Thought I’d throw my two cents into the mix. Hopefully it isn’t too redundant with what’s already been said. I think it’s important to draw a parallel between the “average American diet,” which is full of processed foods, and a gluten-free average American diet, which basically substitutes expensive gluten-free specialty foods for the processed junk people ate before going gluten-free. Being a gluten-free processed food eater won’t necessarily make you any healther (save for avoiding gluten) than eating “regular” processed food. And yes, it will be more expensive to stock your cupboard with specialty foods. You can also draw a parallel between from-scratch baking with wheat flour, and from-scratch baking with alternative flours or a GF flour blend. In my experience, the GF version will still be more expensive, because it’s a matter of fact that gluten-free flours cost more per pound than basic wheat flour. However, from-scratch gluten-free baking will certainly be less expensive than buying GF speciality products, and that WILL save you money. What you’re advocating is a double shift in diet – it’s a shift from gluten to gluten-free, but it’s also a shift from processed to whole foods (the GFE solution…which is a good one!). That’s an important distinction to make. Depending on the quality of food that you buy – local? organic? free range? grass fed? – the whole food can still put a pretty good dent in your wallet compared to buying the pesticide-produced, agribusiness fruits and vegetables, and the centralized animal feeding operations meats. But then there’s another argument to be made that the added price of high quality, environmentally friendly whole foods is offset by improved health and avoided medical costs down the road. That’s a much harder scenario to quantify, but one worth considering…invest in your body now, for the sake of its health later. In the end, I’m a strong supporter of whole foods as the foundation of a good GF diet. But as to whether or not it costs more, less or the same as a conventional American diet, my answer is that it all depends…on a multitude of factors. Hey, Pete–I really appreciate your two cents! Yes, I am “advocating a double shift in diet.” When we’re re-evaluating our diet, why not make our new diet much, much better than the old diet? And, how wonderful that the real/whole food we’re shifting to is naturally gluten free. I don’t know that I necessarily want to point it out to folks as a double shift because that makes it sound like hard work, when in reality I feel it’s the path of least resistance that will get you to healing faster, while being less expensive. I don’t disagree with anything you’ve stated, but I would like to add a few more ways I approach gfe. I believe you can go for a bunch of alternative gf flours and gf flour blends like you said OR you can choose desserts (e.g., pudding, flan, rice pudding, mousse, fruit dishes) and baked goods (even breads like muffins and popovers) that are either naturally gluten free or require less expensive flours and very little of them. When we get gf baked goods when we’re dining out, if they’re made with flour, it’s almost always a rice flour based mix. And, most purchased gf flour mixes are rice based. So why not have that as a resource at home, using Asian rice flour (that one is comfortable with) and other ingredients, to make the gf flour you like for occasional treats? It’s so easy to make and much more cost effective. The other heartening thing is that with the right gf flour mix (like rice flour/cornstarch that I use) one can use old recipes and easily convert them with the help of xanthan gum. Cornmeal can be another good baking/cooking option for many folks, for cornbread, breading, etc. BTW, I’ve added some “tip sheets” to my sidebar that share my approach a little better. The best quality food is what we all want absolutely. Unfortunately, it’s not always available to all of us. It’s not always an economic issue (although that is the focus of this post) … sometimes it’s where one lives and availability. Let’s hope that things change more and more for our food industry so that all our choices are the best quality ones, but for now many of us need to make the best choices available for our location and budget. I’m 30 miles from a store that carries a fair amount of organic food, and 70 miles from Whole Foods and Trader Joe’s. So for me and the folks in our support group, that doesn’t mean a lot of organic foods typically. But, I know that the locally grown food I buy; the fruits and vegetables I purchase at the grocery store (usually only organic salad greens are available); the meats, seafood, and other foods I buy are the best I can get on my budget for what’s available. And, I think that when we become aware of what we’re really eating, that’s how most of us handle our food buying. I think when we become gluten free, it’s a transition and we can’t go from 0 to 60 in 8 seconds, but we can make progress and continue making progress. But so much of the advice for saving money that is coming out these days applies to all food, gluten free or not—like Mark Bittman’s recent articles on stocking one’s pantry (that Shauna at Gluten-Free Girl shared a while back) and using one’s freezer advantageously (that Diane just shared at The W.H.O.L.E. Gang). Now that I’m back, you and your thoughtful readers have come up with all kinds of great ideas! My motto is stick with whole foods as much as possible. Along the lines of what Pete is saying, many people would be better off making a total shift in how they perceive food in the first place. By choosing whole foods rather than processed foods, you’ll be much healthier and be eating GF by default. And it doesn’t have to be that expensive. Hit the farmer’s markets at the end of the day — most have whole bags of goodies for less than half price. My local market has a shelf with day-old produce, whole bags for $1 and everything is organic. I buy two or three bags of apples, lettuce and whatever else is featured and focus on those items that week. Dried beans and lentils are excellent food sources and are inexpensive. Costco (or whatever discount house is in your area) now has several varieties of whole organic foods. Some frozen, but that’s okay. People just aren’t familiar with eating like this — nourishing, traditional foods. It’s so much healthier for everyone, gluten sensitive or not. I like taking clients on grocery store trips, some people are completely intimidated by fresh food. They weren’t taught to use real food, it’s not their fault — they just need to be educated on the benefits. When you grow up eating TV dinners cooked in a microwave, real food is a mystery. It’s sad. Thanks for a good post, Shirley. As I mentioned in my reply to Pete, we’re 30 miles from all the resources like Costco. So we do the best with what we have. We did just get a new farmer’s market and that’s only 5 miles from me, so I’ll check it out on Saturday! Hey your preaching to the choir with me – I’m with you sister! Thanks for all the great comments when I was in China, I so appreciate it! Wow – and I thought I was the only person who felt this way. Thanks for this! Hi, Jennifer!–Thank you so much for stopping by gfe and sharing your thoughts! I truly appreciate them. 🙂 I’m so glad to hear there are more of us “out there.” Could we be a silent majority? I hope so, but there are still more who need to know that gf eating doesn’t have to be rocket science. Please spread the word to make life simpler, less expensive, and healthier for so many. Anali–Thanks so very much for your extremely generous words! 🙂 Really, I’m just sharing what many others also think and have already put into place for gf eating for themselves. Please spread the word and help stop the madness by enlightening anyone you hear say that eating gluten free is expensive and difficult. Wow, so many comments and so much discussion, this is great! I can’t imagine how much we would spend on groceries if we relied on processed foods. You could spend a whole paycheck on packaged gluten-free foods! GF whole grains and legumes are cheap and easy to prepare at home. This is a good way to stretch the dollar. When you start adding meat and fish the bill can add up. Organic fruits and veggies can add up too, unfortunately. Growing your own reduces the cost. And most people can plant a small garden in their back yard. We usually have a surplus of food come the end of August – I try to freeze what I can though. Oh – I almost forgot, SOUP! Soup is such an economical way to feed a family (we make quite a bit of soups and stews here)! This is such a great post Shirley! Hey, Ali–Thanks for stopping by and offering your very helpful and always positive input! 🙂 Yes, grains and legumes can help a tremendous amount and are so good for you. While I agree that meat and fish can be much more expensive, personally we don’t need a large portion of those to be satisfied so a filet or two of fish can last for several meals. So, we really need to look more at the value of foods as well. Chicken thighs and legs are often a terrific value, as well as roaster chickens and turkey breasts. You’re absolutelly right re: soups/stews! They are great budget stretchers and happen to be one of my favorite dinners of all the time. There are so many options with soups/stews and they are such a terrific way to use leftovers and small amounts of pasta and rice one might have in the pantry. (Rice freezes well, too, so it’s easy to pull out whatever amount you need.) We can be smart shoppers just the way people who eat gluten can be … looking at the loss leaders in sale flyers. Just skip over the gluten stuff, but the good news is that most loss leaders are real food. 🙂 Of course, other ways to save are stocking one’s pantry and menu planning. MY GOSH — there’s a lot of information here! Good job, Shirley. Seriously, I know you’ve worked very hard on this and you’ve got a bunch of people out here who really appreciate it. You’re a doll and we love you! Hi Sonia!–Welcome home and thanks, too, for the work you are doing to spread awareness!! Remember that in the U.S. about 97% of folks who have celiac remain undiagnosed, so with all our resources we still need major education/awareness, too. I am glad that Europe is on top of celiac education and diagnosis though. Many gf friends have visited and have had such wonderful experiences eating safely there. Sonia, your heart is in the right place and your mission is awesome. 🙂 Thanks so much for taking the time to stop by gfe to share the latest in your good works! I am new to your blog and I must say that I am happy to read this post! I was just discussing this issue with another blogger — how to eat gluten-free on a budget. You have really made some great points and I look forward to exploring the rest of your blog! Thanks! Welcome, Alison! Thanks so much for your very generous words on this post. It’s a real mission of mine to show folks that they can eat gf with less expense by focusing on real food with some gf mainstream processed items and just a few gf specialty foods thrown in the mix. I’m so glad you are already spreading the word. It’s more important than ever in our current economic times. Hi, Ann–Welcome to gfe! Thanks for posting a comment. The gf status/safety of McDonald’s fries has been addressed many times over the last few years. McDonald’s is protecting their company from lawsuits and trying to avoid confusion (something that the labeling laws introduced more of in many cases) by including the fries in that listing on their website. As my parenthetical caveat (“cooked in oil originally derived from wheat, but tested GF”) states they had the fries independently tested and the testing showed they are gluten free. Cynthia Kupper, head of the Gluten Intolerance Group, had this to say at the time. The FALCPA doesn’t take into account whether the wheat has been removed or the product shows gluten free via testing. For example, Werther’s Originals candies also show wheat on the label, because the glucose syrup is derived from wheat. However, gluten is not in the final product—much like the distillation of grains for alcohol, which do not contain gluten after distillation. Read more here. That is much like the situation with McDonald’s fries. The oil that they use is derived from wheat, but testing confirms that wheat is not in the final product. Still, there are always other concerns. For example, McDonald’s states they cook their fries in a dedicated fryer. Is that always the case? Are there ever exceptions? Does fish batter (from their filet of fish) or anything else containing gluten ever fall into their fryer? One must make one’s own decision, but I still occasionally eat McDonald’s fries with no issues when we are out on the road and there are no other good options. I appreciate your comment and a chance to share the info available on this topic. Please read the data and make your own decision on whether or not their fries should ever be an occasional treat you’ll indulge in. Thanks for a great article! My daughter was diagnosed with Celiacs a month ago and my son just this week! In figuring out what to feed them I have turned back to a lot more basic food. So many of the packaged stuff is just empty calories and really just high-priced-gluten-free-WonderBread! We have also been looking for recipes from other parts of the world like Brazilian cheese balls (made with Tapioca flour) to find tasty interesting food that the kids can enjoy making and eating. Thanks for encouraging people to look beyond the specialty section of the grocery store! Sharon–Hello, and welcome to gfe! Wow, you are very much a newly gf family! But, what a wonderful attitude you have already—love that! 🙂 “High-price gluten-free Wonder Bread” … oh, boy, is that often true. I love that you are all approaching the gf diet together. You are teaching them how to really live gf, Sharon—what an incredible gift! They’ll be able to go and travel anywhere and figure out how to eat gf. BTW, those Brazilian cheese rolls are awesome. There’s a shop near the larger support group I belong to and members often bring those for the meeting. Totally delicious. Check around your area to see if you have existing businesses that might offer them. Let your kids know they don’t have to have bread though. We really can do without it on a daily basis, even if it’s gf (and not quite as bad as the gf Wonder Bread LOL). It’s natural to try to substitute for it when one first goes gf (bread, breading, and pizza have become the Standard American Diet … SAD), but it’s a lot easier not having to depend on it. I know you all are going to do really well with living gf! But, don’t hesitate to email if you have questions that I might be able to help with … seriously. I hope you’ve found a terrific support group. Often other members who are already living gfe can be invaluable in their support. Thanks for sending me to this post Shirley! I think this is a wonderful post and I am sure it will help a lot of people to understand that it isn’t a MAJOR project to eat gluten free! Hey, Jenn–Welcome to gfe! Thanks so very much for taking the time to visit and to post this lovely comment. I love your wording! No, not a MAJOR project at all. It’s all in one’s attitude and approach. Think of all the food that’s naturally gluten free. Really, it’s mostly the same kind of food you love to eat and share at your site, The Leftover Queen. I could not agree with you more! Too much effort goes into tracking down all of the right specialty products, and there isn’t enough joy found in a simple, naturally GF, corn tortilla! This is a great post. If you are ever down in NC, there are a number of groups here that could benefit from a presentation if that was interesting to you. Hi Fred–Thanks so much for the positive feedback! It looks like you have lots of experience in the tracking down part yourself. There’s just so much real food and non-gf specialty food that is easily found, reasonably priced, and healthier. Hi Shelley–Welcome to gfe! Thanks so much for reading this article and sharing your own personal story. Perimeter shopping is definitely the gfe/stop the madness approach. 🙂 I do think that some of us come to this approach and more laid-back attitude (i.e., not having to have a massive stash of foods labeled gluten free), but others are still caught up on that merry-go-round. They are not happy about it, but they don’t know how to get off. Hopefully, our stories will inspire them to get off and go down this other path. And, if we can “catch” folks who are just starting to eat gluten free, all the better. 🙂 I’m so glad you shared your weight loss success, too. It’s true that when we focus on the real foods aspect (meat, seafood, fruit, veggies), those pounds can naturally come off. I agree with you! We are eating much better now GF than we did before. What a great post! We have recently taken our son off gluten, dairy, and yeast/sugar, and although it seems daunting at first (actually, just cutting out gluten alone seems so easy now!) I’ve found we eat much healthier and the cost of the diet is really up to us. Like you said, I can find deals on meat, fruits, veggies just fine…it’s just processed stuff we don’t NEED that gets costly. Also, I’m happy to teach my kids to try new things. We’ve found PB&J is just as yummy on a whole-grain rice cake, and they’re eating a lot more nuts and seeds and things we didn’t before. Amen! I agree with your great article. Personally, I started off on a whole food diet and then decided to eliminate gluten from my diet. I think that made a much easier transition, since I had eliminated processed food. Its only been very recently that stores in my area are offering so many gluten-free alternatives. I so take advantage of them for an occasional treat…such as pizza doughs. But as a rule do not consume them much because many of them have questionable ingredients for my puritan, whole food thinking. Halleluyah!!!! Amen Sister Shriley! I love it. Hi Tracee–Thanks, dear. 🙂 I really hope we can all get the word out. I think the Food Revolution and the emphasis on real food might make the light bulb go off for some. Again, I’m hopeful. Feel free to share my post to offer food for thought and encourage discussion. Rice is GF, folks! So are potatoes and cornmeal! The rest of the food is exactly the same. Processed foods and restaurants are for special treat or emergencies. Making a pot of rice and something quick to top it with is easier than most of the quick mixes, and 1000 times healthier. I’m astonished at the editor’s response. We don’t need processed fake food. Heck, we need to heal our guts and our bodies. Dumping a bunch of fake food into our linoleum-lined bellies isn’t going to make us feel better. Hey TK–Welcome to gfe! 🙂 And, thanks for the support. There are really so many naturally gluten-free options that are inexpensive, tasty, and even healthy. I truly only purchase a handful (less than 10) gluten-free specialty products, EVER. I’m not sure everyone believes that but it’s true. I was very dismayed at the editor’s response, too. On the on hand, she does head a site that sells gf processed foods. On the other hand, I think she really believed what she was saying. I’ve heard the “need for convenience” and “no deprivation” cited often in re: to gf processed foods. Many of us know it’s just not necessary … that real food can fulfill our needs. And, as you’ve very notably pointed out real food vs processed also helps us heal faster. I couldn’t agree with you more. Thanks for taking the time to comment! And, please spread the word … educate folks. They may have to take baby steps, but they can stop the insanity, too. I have recently found out that I am gluten intolerant and I am miserable. My husband & I are empty nesters and I used to cook really well. Now I don’t know what to do. I am in tears and am miserable. I can’t even find easy recipes to get started. I hate this but I want to learn to work with it…………….I am lost. Welcome to gfe. 🙂 It is not unusual to feel overwhelmed and, as you say, miserable and lost when one finds out one is gluten intolerant. You won’t believe it now, but you will get past these feelings and go on to thrive in the future. Here are some simple things you can do to get started living gluten free easily. First, under my blog header, there is a tab called Getting Started with GFE. Click here on the link (or on that tab if you go back to my site later) and print out what I call gfe’s tip sheets. These are printable resource sheets that will help you know what you can eat right now (50 GF Foods You Can Eat Today), give you meal ideas (50 GFE Meals), treat ideas (50 GFE Sweet Treats), help you stock your pantry (The GFE Pantry), etc. Once you print these sheets out, you will see that many of your and your husband’s favorite foods, treats, etc. may be already gluten free or easily adapted to be gluten free. As far as easy recipes to get started, my most popular recipes of all time (that are shown under gfe’s most popular recipes on my sidebar) are certainly some of the easy ones. I recommend starting out with a treat food like the Flourless Peanut Butter Cookies. You can probably go to your pantry and fridges right now and pull out the ingredients that this recipe calls for. They are so few and so basic. I am certain that you and your husband will love these cookies if you love peanut butter. Maybe you love pumpkin pie. Another favorite gfe recipe is Crustless Pumpkin Pie. All you do is add 1/4 cup of a finely ground gf flour mix to the basic pumpkin pie recipe. The pie thickens just enough that no crust is needed. It tastes fabulous and nobody, gluten free or gluten full, misses the crust. 😉 Maybe you’re thinking about main meals as your biggest concern though. Look at the 50 GFE Meals sheet and you’ll see may favorite you’ve always enjoyed. Barbecued chicken (just check label on barbecue sauce; most are gf), meat loaf (just skipping the gluten-full ingredients or adding gluten-free bread crumbs, gluten-free oats, etc. ), steamed seafood (just make sure it’s not steamed in beer), fried chicken or chicken nuggets (can be made gluten free by using a few different ingredients for breading … my favorite is crushed potato chips), chili (almost always gluten free on its own), etc. Once you look at the listing, you’ll see many meals that you already love. Please feel free to send me an email with specific questions/concerns. This seems impossible at first, but you’ll get the hang of it more quickly than you could have ever imagined. I also recommend that you read my post on Grieving Gluten: The Five Stages of Loss of Gluten, Plus One. You’ll see that you are not alone by reading the post and all the comments. The whole discussion may be very helpful to you. Big hugs to you, Sheila! You all are so right on the money. Real food is so ignored in the main media but alarmingly, the people around me also generally shy from food that doesn’t come out of a ‘safely-wrapped’ commercial food package. I even know people who don’t even know what fresh off the tree or fresh out of the garden taste like. I am interested in the study (wonder if it even exists until I start it) of how (and why not) a person can overcome a lifetime of poor quality imprinting and enjoy real food as much as I do. Anyway, I think a big part of the equation is that much of the economy depends on the sale of low-value food, and that is a big part of why we cannot simply educate and people will start eating real. Certainly, the government has been no help at all. Nor have hospitals, judging from their menus and from the diabetic education classes I have attended. I agree! Family members try to be “helpful” by buying marketed GF items, and half the time I don’t even like them! I would rather make a batch of my own GF bakery and freeze it for later. When I know someone is going gluten free I encourage them to eat whole foods for a month before adding in marketed GF items. A lot of times the marketed items have flours your body has never had and you end up feeling sick because of them. My doctor told me to do that when I initially went GF and it healed me so much quicker. Will I pick up some GF marketed cookies when they are on sale or when I see something I am interested in? Sure. You can also find deals on items you like on amazon if you buy in bulk. I buy my envirokidz bars that way and save lots! Hi Jessica–Thanks so much for offering your thoughts/advice. I agree with you. Great points and advice for others! 🙂 While I don’t buy enough of any gf products to buy them in bulk, I know it can be a great option for many.